It’s Ships Ahoy in Boston Harbor! Today marks the busiest cruise ship day for Cruiseport Boston since 2005. Four cruise ships are in port for a day-long visit for the first time in six years, according to the Massachusetts Port Authority (Massport). The four ships– Carnival Glory, Crown Princess, Crystal Symphony and Seabourn Sojourn –are bringing more than 7,000 passengers. The last time four ships were in port simultaneously was on October 6, 2005 which was also the same day Cunard’s Queen Mary 2 came to Boston for the first time. The other ships that day were Crystal Symphony, Enchantment of the Seas, and Golden Princess. The 450-passenger Seabourn Sojourn is anchored in Boston’s inner harbor while the other three ships are docked along Cruiseport Boston’s 3,000 foot pier. Those aboard Seabourn Sojourn are being “tendered,” or brought to shore by small boats, getting off at Commonwealth Pier located at the World Trade Center in the Seaport District. Recently, Massport in partnership with the Greater Boston Convention & Visitors Bureau (GBCVB) created a new Cruiseport Boston map designed specifically for the cruise passenger. The map shows walking routes to Boston’s popular destinations and the ease of access to downtown shops, restaurants, and other attractions from the cruise terminal. According to Massport, Cruiseport Boston serves as an economic engine for the region. According to a 2011 report by the Cruise Lines International Association (CLIA), cruise industry spending generated about 7,521 jobs and $429 million in income for Massachusetts’ workers through direct, indirect and induced impact. It is estimated that passengers and crew spend $26 million in Boston last year. Massachusetts accounted for more than $492 million in cruise industry direct spending in 2010, a seven percent increase over 2009. For a fourth consecutive year, Cruiseport Boston set a new passenger record in 2010 with more than 300,000 travelers coming through the port. So far this year, 2011 is on pace to eclipse that record, which was a seven percent increase over 2009. Last October officials unveiled the $11 million makeover of the Black Falcon Cruise Terminal, transforming it from a vintage World War I military warehouse, into a hip new point of departure for ocean-going vacationers. 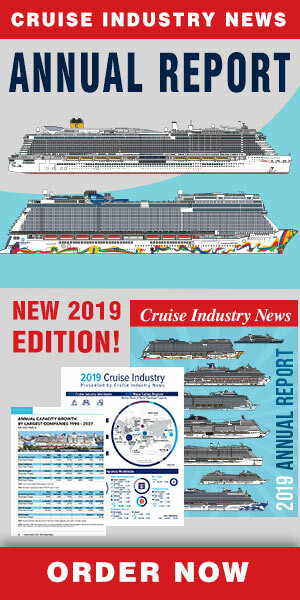 The critical renovations were needed to keep pace with Boston’s growing cruise industry and to ensure the continued economic benefits that cruising brings to the region.